That cool lead-in quote is by the father of modern management, W.E. Deming (anyone remember “quality circles”? ); it’s a quote we’ve adopted as well at ARXFit. If you look at that previous post, you’ll see that my initial Omega 3 levels, well… rather sucked. And this was in someone who consciously opted for fish when available and was at least hit-or-miss with guzzling fish oil. The results after having been on ID Nutrition for the better part of a year, now? My Omega 3 status is a hell of a lot better. I did no other bloodwork to better dial things in during the year, going solely on what the ID Nutrition assessment recommended for me. No muss, no fuss, and no bottled fish oil to have to choke down. I like that. And I travel — A LOT — so the convenience of having all my base micro nutrition divvied-up into daily strip packs is something I appreciate. Also, I’d say that, across the board, I’ve eaten much less seafood in the past year. I’m not saying this is in any way a good thing (note: my Omega 6 levels are still a bit high), but is, I think, the result of my opting for my preferred source of protein (fatty beef, pork and fowl) because of a subconscious “knowing” that I had an Omega 3 “safety net” now in my diet. Click on the link below for the full report. Go ahead, I dare you. 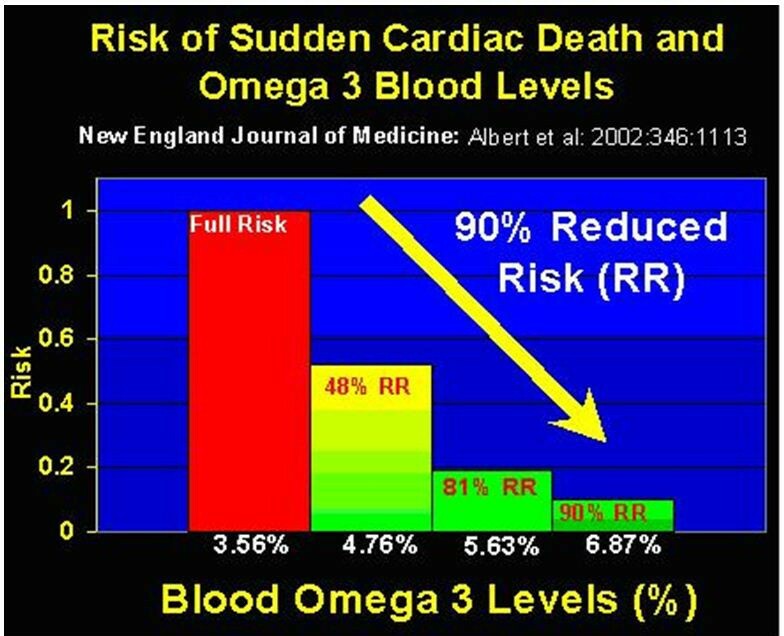 Note that Omega 3 (and EPA) is generally considered “good”, and Omega 6 (and AA) “bad”, or inflammatory. It’s not as simple as that (nothing in biochemistry ever is), but that’s the gist of things. Essentially, we want a low (<5 to 1) Omega 6/Omega 3 ratio. Mine sits right now at a 5.5 to 1. Not too damn bad. Especially since I was eating a ton of fish a year ago, and sat at a paltry 8.3 to 1 ratio. By comparison, the US average is 8.11 to 1. I don’t know about you, but I’m not in this game to be friggin’ average. So why is it that I could be eating a substantial amount of fish a year ago (along with periods of swilling God-awful tasting fish oil) and still have mediocre levels of Omega 3s in my system? It boils down to quality and nutrient density. The lion’s share of the fish I eat is bought or from restaurants. Nothing wrong with that, of course. But that fish isn’t exactly just jerked fresh from the water and thrown in the pan. Omega 3s are delicate, and I’m sure there’s quite a bit of degradation that occurs during storage, shipping and handling. That’s just speculation, of course. But what’s not speculation is the before-and-after comparison of these tests. So, I like where this is going. In other words, I’ll just keep right on doing what I’m doing, thank you very much. And do check out the full report; very illuminating, and really, it’s not all that long or difficult to decipher. What’s interesting about this is that the above is what I actually recorded. My total lifting time was an hour-and-a-half. Now that’s not something I necessarily advocate, but I was simply lost “in my own world” during that time. I really have no idea how many total sets I performed at working weight. It might not have been the best thing to do physically. But the mental clarity was well worth it. Cheers, then, to “the flow”.